Tech housed a school branch of the Farmer’s and Merchants’ Savings Bank. It was recognized as the wealthiest school savings bank in America. Though it was the Depression, one job opening needed to be filled that of Tech’s Bulldog Mascot. Jiggs, the former mascot, mysteriously disappeared. Canine applications were sought. The Sheet Metal Shop constructed a six-foot reflector telescope. Acclaimed muralist Diego Rivera (husband of Frida Kahlo) visited art classes at Tech. Enrollment was down by 110 students from the previous year at Tech. Students moved with their families to other locations due to the Depression. Tech was home to more than 50 Clubs including an aviation club, girls’ archery, a harmonica club and Junior Kiwanis or Key Club. A Lip Reading Class sponsored by the East Bay League for the Hard of Hearing was conducted at Tech. Tech Graduates Won Jobs at Bethlehem Steel, Westinghouse and the Telephone Company. Oakland Tech’s Basketball Team was the OAL champ for the third year in a row. 65 Tables made by the Smith-Hughes shop students were delivered to the Board of Education for distribution to Oakland schools. Anastasion Somoza, President of Nicaragua, visited Oakland Tech because he had a personal connection with Principal Howard Welty, who had visited Nicaragua the previous year. While at Tech, Arleigh Williams participated in football, basketball, and crew, and was selected for a baseball team that played in the American Legion World Series of youth baseball. As an undergraduate at UC Berkeley from 1931 to 1935, Williams played football and remains on the Bears’ all-time career rushing record list with 1,404 yards on 526 carries. He also kicked the longest punt in Cal history. 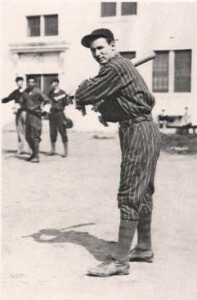 Williams also played baseball for Cal. In 1959, he received Sports Illustrated Magazine’s Silver Anniversary All-American award. 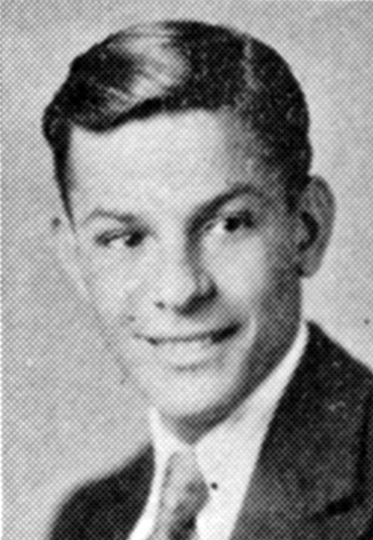 After serving in the Navy during WW II, Williams eventually joined the UC Berkeley administration and served as Dean of Men, Dean of Students, Assistant Vice Chancellor for Student Affairs, and after he retired in 1976, was named Dean of Students, Emeritus by The Regents of the University. He was inducted into the Cal Sports Hall of Fame in 2004. When she passed away in February of 2015 at the age of 103, Esther was likely the oldest Tech alumnae. She had been living in the same house in Rockridge since her family moved to Oakland from San Francisco in 1920 when she was nine years old. 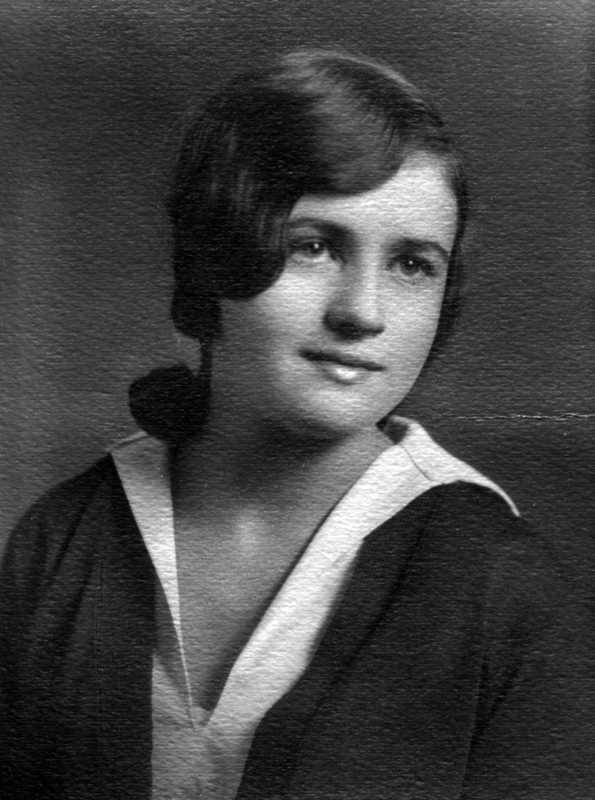 Her husband, Fred McFeeley, class of 1929, grew up in the same neighborhood, and by high school, they lived on the same street, one block apart. 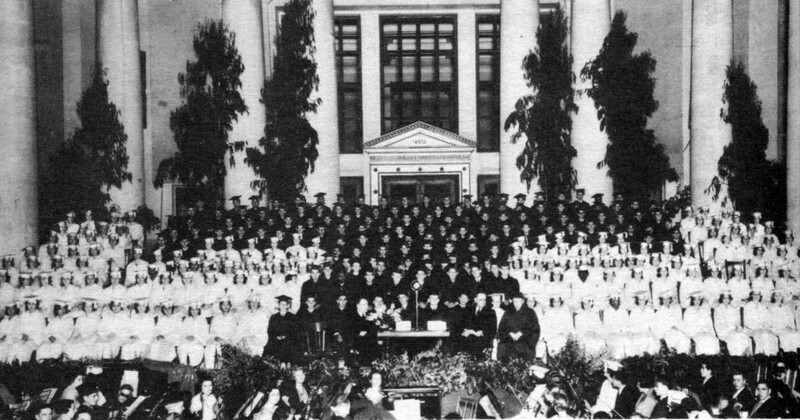 At Tech, Esther sang in the Girls’ Glee Club with her best friend Ida May Jennings. She remembered her home economics classes where she learned to sew an apron and bake biscuits. She took commercial classes and to this day, she remembers the Gregg Shorthand she learned at Tech. 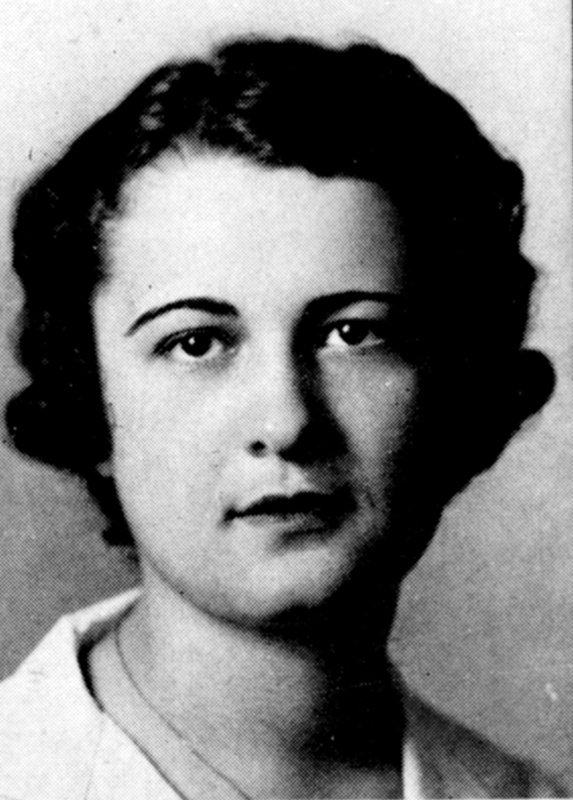 In fact, she used it after graduation when she worked for many years for Dr. Stanley Fisher on Pill Hill. Much later, when her two children were in school, she again used it to take notes at PTA meetings. On June 7, 1944, the day after the D-Day invasion, when she was 29 and he was 30, Esther and Fred, who had been courting for 11 years, got married and Esther became a stay-at-home mom. After Fred died in 1967 from cancer, Esther raised five baby chimps! 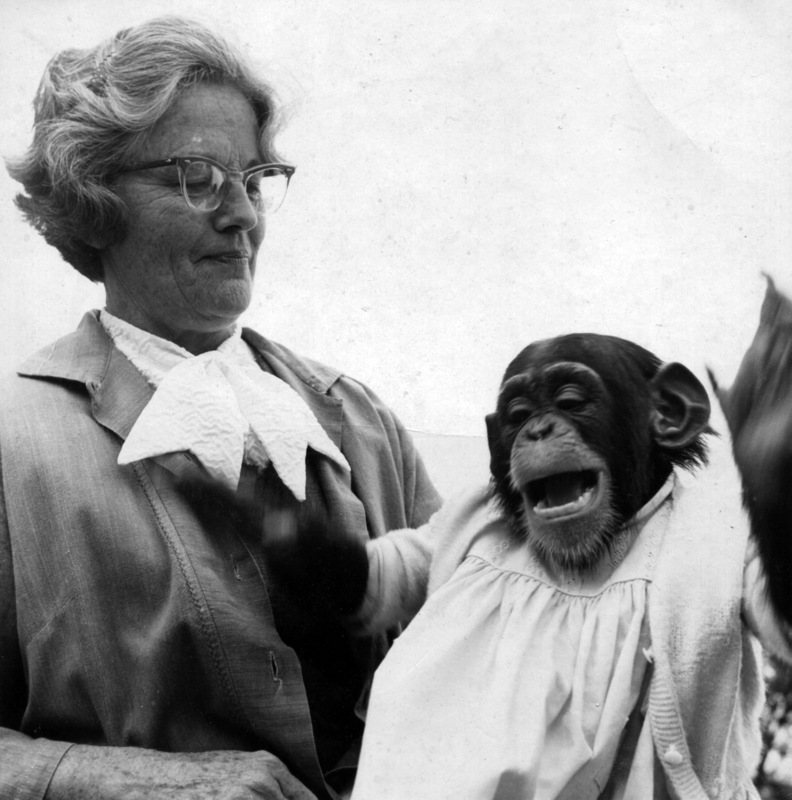 Her daughter, Suzy Ruhe and her husband, Lutz Ruhe, were co-owners of the Oakland Baby Zoo in Knowland State Park (sold to the Oakland Zoo Society in 1975). When the chimps were very small, insurance wouldn’t cover them so Suzy brought them home to her mother who cared for them like pets, bottle-feeding them in her home in Rockridge. According to Jane Stephens’ elderly son George, Stephens was an artist and once drew a funny picture of one of her Tech teachers as if she were really fat. Needless to say, the teacher was not pleased and Jane remembered the moment all her life! 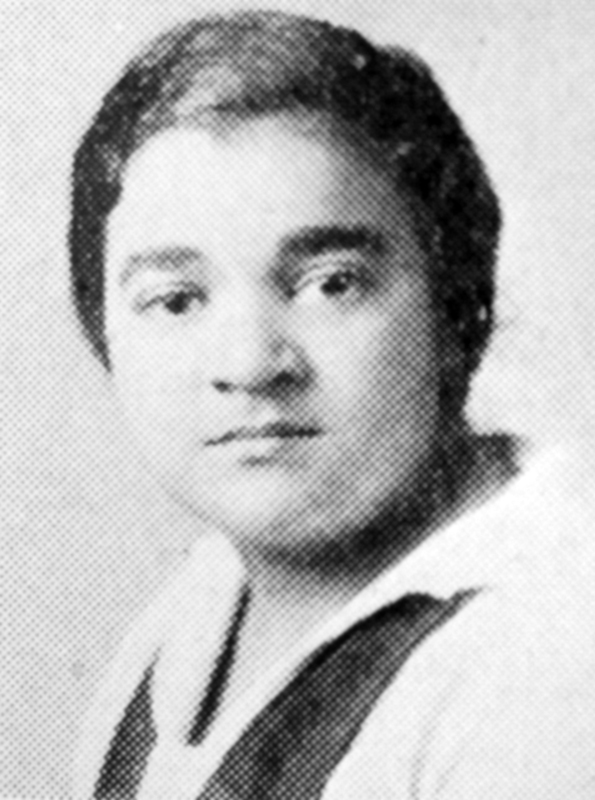 After graduating from Tech, Stephens sought her fortune in Los Angeles where she got a job as a dancer with Fanchon and Marco Dance Company which produced lavish productions for the LA’s Paramount Theater. In the late 20s and 30s, a ticket to a movie also got you a newsreel, cartoon, short subject, feature film, and a live and often very elaborate stage show. 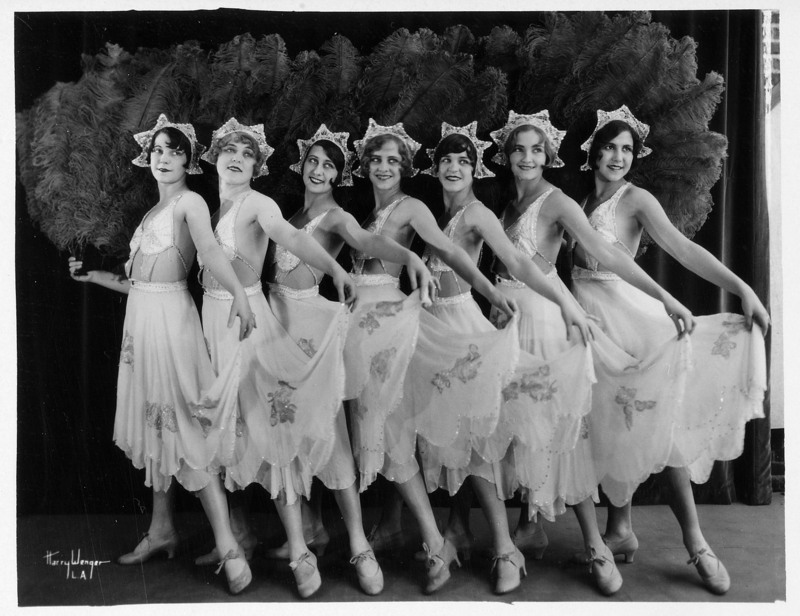 The most famous of the Fanchon and Marco acts was the “Fanchonettes,” a group of 48 young women dancers similar to the Rockettes at Radio City Music Hall in New York. Various groups of Fanchon & Marco girls, known also as the “Sunkist Beauties,” would perform in theaters up and down the West Coast. Stephens toured with the group for several years. When her dancing career ended, Stephens moved back to the Bay Area and put her artistic talents to work as a design draftsman at PG&E. She had 2 sons, 9 grandchildren, 16 great-grandchildren, and 5 great-great grandchildren and died at age 94 in 2007. Fred Pitney grew up in a string of valley towns where his father set up Chamber of Commerce offices. At Tech, Pitney was active in the science club. He conducted experiments in diffusion which he shared with the club’s members. Pitney worked for Pacific Coast Engineering Co. in Alameda for over 34 years, the last 22 years as Superintendent of the Fabrication Shop. He married in 1965. In 1987 he helped to create Sierra Sunrise Village in Chico, a senior living community, and in 1989 he and his wife moved into one of the lakeside condominiums. 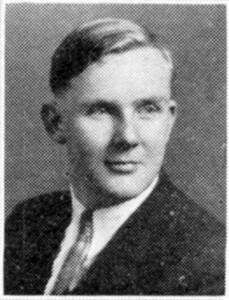 He was active in the Prime Timers at Chico State where he was chairman of its Reading for the Blind program and treasurer. 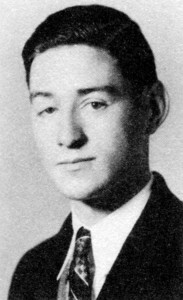 Born and raised in Oakland, Robert Colgett graduated from Tech in 1930. He then studied photography at Modesto Junior College. After a few years of working as an X-ray technician in San Francisco, Colgett joined his father’s business, Colgett Watchmaker and Jeweler, on College Ave. They were forced to close the business in the 1960s when BART bought their building. After he retired, Colgett was installed as Master of the Masonic Lodge in 1963. He stayed connected with some of his Tech friends throughout his life. He was very proud that both his daughter, Frances (Colgett) McCoin, Class of 1962 and his son, George Colgett, Class of 1966, graduated from Tech. Cookie was a third baseman, manager, and coach in American League baseball. 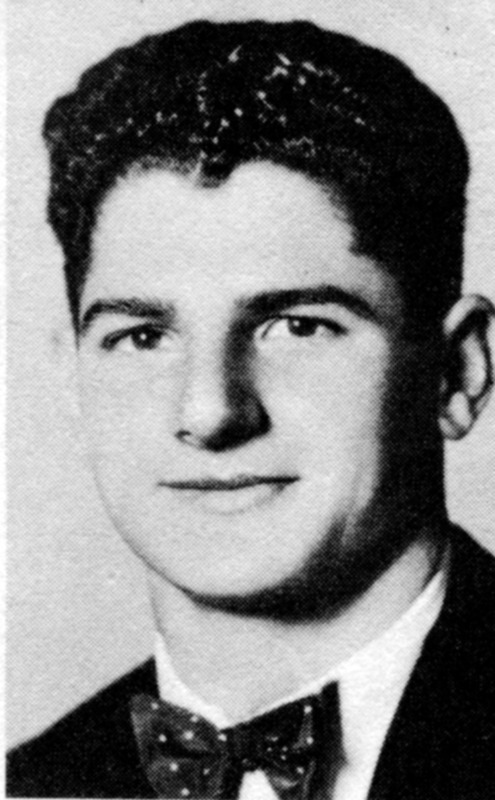 But he’s best known for a single hit he made during a 1947 World Series game when his Brooklyn Dodgers were facing the New York Yankees, in a game that would come to be called “The Cookie Game.” Harry played both football and baseball at Tech where he had two nicknames: “Harry “Loonatic” Lavagetto and Harry “Lovebird” Lavagetto. 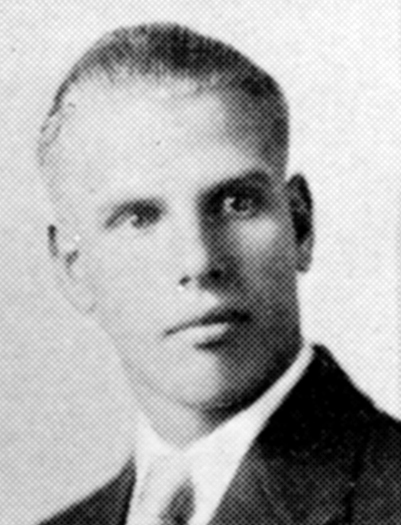 After graduating Tech in 1931, Lavagetto, then still called “Harry,” tried out for the Oakland Oaks, a team in the Pacific Coast League owned by Cookie DeVincenzi. The team owner’s nickname eventually was applied to Lavagetto too, and stuck. 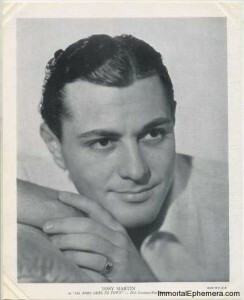 Lavagetto played for the Pittsburgh Pirates from 1934-1936, and was then traded to the Brooklyn Dodgers. In 1938, while with the Dodgers, he made the All-Star team, a feat he repeated four years in a row. 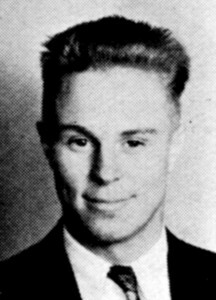 His career was interrupted in January 1942 when he voluntarily enlisted alongside his brother in the Navy. In 1945 he managed a Navy baseball team. When the war ended, Lavagetto played two more seasons with the Dodgers, but went out with a flourish in “The Cookie Game,” during Game 4 of the World Series. Bill Bevens of the Yankees was on the cusp of going down in history for pitching the first ever World Series no-hitter. Lavagetto’s last hit in the major leagues denied Bevens that satisfaction and gave the Dodgers a 3-2 win. (The Yankees went on to win the series, but it took all seven games.) In later years, Lavagetto was a coach for the Dodgers, a manager for the Washington Senators and the Minnesota Twins, and a coach for the New York Mets, before coming back to the Bay Area to manage the Giants from 1964-1967. He died at home in Orinda in 1990 at the age of 77. 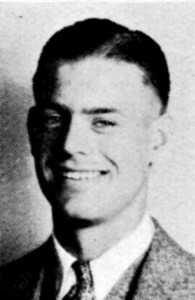 Lincoln Blakely played baseball at Oakland Tech with future major leaguers Les Powers, Rod Dedeaux, and Tom Hafey. He played for the San Francisco Missions of the Pacific Coast League in 1932 and 1933 before breaking into the big leagues in 1934. As a 22-year-old outfielder with the Cincinnati Reds, he played one season, compiling a batting average of .225. He died in Oakland at age 64 in 1976. My mother was born in Cape Girardeau, on the Mississippi River, in Missouri. She went to Wilberforce University outside of Columbus Ohio. [Editor’s note: Wilberforce University is a historically black university located in Wilberforce, Ohio. It was the first college to be owned and operated by African Americans.] It is amazing that she went to college. Even when I went to Cal, only 10% of Americans went to college. Her father was a minister and the family moved around a lot. When she finished high school, he sent her to Wilberforce so she would have a more permanent home. It was a black college named after an Englishman. She became a teacher in Prairie View, Texas. She taught “Home Ec”. She married my dad in Texas. My father was twenty years older than my mother. He was born in the last year of slavery in 1863 in Missouri, but since Missouri hadn’t seceded from the Union, it didn’t fall under the Emancipation law and had to pass its own law in 1865 to free the slaves. My father’s mother was a slave in Kentucky and she came with her owner to Missouri. Her owner fathered all nine of her children. My father was the last one born in slavery. She crossed the Missouri River to get to Kansas to be free. Two of her nine children died and then she had another one, her tenth, after she got married. My father’s youngest sister (my aunt) was born 1965 in Kansas, the only one of ten born free. She had an amazing life. My aunt (Nettie Craig Asberry) was a brilliant woman. She had graduated from a music college in Leavenworth, Kansas. All the siblings had pooled their money to send her to college. She lived in Tacoma, Washington. She was one of the founders of the NAACP in the Pacific Northwest. I visited her in Tacoma when I was only 14. She sent for me, sent money for me to come visit. She had a really nice home in Tacoma. Her husband owned the barber shop downtown in the Tacoma Hotel, which was very elegant. There were newspaper articles about him when he died. He had a lot of prominent customers. Two or three presidents even had their own mugs [for shaving] there. Tacoma was the place of commerce at that time. Seattle came along later. My aunt had people in to meet me, her niece from California. She was involved in a women’s club and when the world’s fair came to Seattle, her women’s club came away with some prizes for their sewing. Those things are in a museum now. When her husband died, he left her five houses and a couple of lots and I eventually got one of those lots outside Tacoma which I sold not long ago. She lived a lot longer than he did and lived on that money. That was the only trip I’d ever taken. I had never been away from home before. My father was the only one of the ten siblings to have children. I knew Aunt Nettie, one uncle, and Aunt Martha who lived in San Diego. I went there a couple times to visit her when school was out. My parents met in Texas and moved to Nebraska. My brother was born in Omaha in 1906. Then they moved to Denver, Colorado and my father worked for the Union Pacific Railroad in Denver. That was where he had a horrible accident. He was supposed to jump off the train at a certain place at a certain time. It was dark and the train was off schedule. He jumped off too soon and instead of landing on the platform, he fell into the Platte River. He messed up his legs and couldn’t walk. He finally managed to crawl to someone’s house. His leg had to be amputated below the knee. He was in his mid-40s. My father had been married before and he had a daughter who was only a few years younger than my mother. They moved to Oakland and I was born there in 1914. He got a job as an elevator operator in City Hall where he worked until he retired. He died in 1958 at the age of 94. I attended Cole Elementary School, which is now a police station, and Lowell Junior High School, both in West Oakland. In my childhood, West Oakland was an immigrant neighborhood. At that time lots of immigrants were coming to the US from all over Europe. Our neighborhood had a lot of Italians and Portuguese. Next door on one side lived a black lady. Then there was a store. I loved playing handball on the outside wall of the store. In the next house were the Kalunians from Armenia. The other way nearer to 12th Street was my best friend who was Polish. I remember we had some friends in West Oakland that had a great big dining table and when you lifted up the top of it, there was a pool table underneath! I remember that! All the kids spoke English, but none of their parents did and I was always fascinated listening to them talking with their parents in their native languages. I think my love of languages started right then. I was just fascinated with that and I eventually turned to languages, majored in Spanish at Cal, and took some French. I am sure I still remember my Spanish even though I haven’t spoken it for 40 years! My family moved from West Oakland to North Oakland so I could go to Tech. North Oakland was considered a better neighborhood. I walked to Tech, a long walk, but I enjoyed it. We lived in a black neighborhood in North Oakland and it was really nice. West Oakland was considered kind of rough. It had that reputation anyway. North Oakland was considered a better neighborhood. We lived near 35th and West and Market. Black people couldn’t buy houses after Grove, only below Grove [now Martin Luther King Jr. Ave.]. Nobody would sell you a house above Grove. Everyone knew that. You didn’t need to be told. There weren’t many black students at Tech when I was there. Some of my friends there were Japanese. We were close friends, but I lost track of them after high school. I was shy in high school. I don’t remember being part of any clubs or activities. I remember Neils Johnson who taught Spanish. He had a lot of influence on me and my majoring in Spanish in college. I remember I had a good algebra teacher. I was never good at math before that. I took all college prep classes, no business classes, but I did go to business college, Merritt College, for a semester after high school and took typing. Then I went to Cal. My mother made me go to college! There were very few black people there then. Walking around the campus, I hardly saw any. I remember one of my English professors told us that only 10% of the population went to college at that time, so you can imagine how few blacks went. I was friends with a few black girls who were there too, Esther and Madeline. 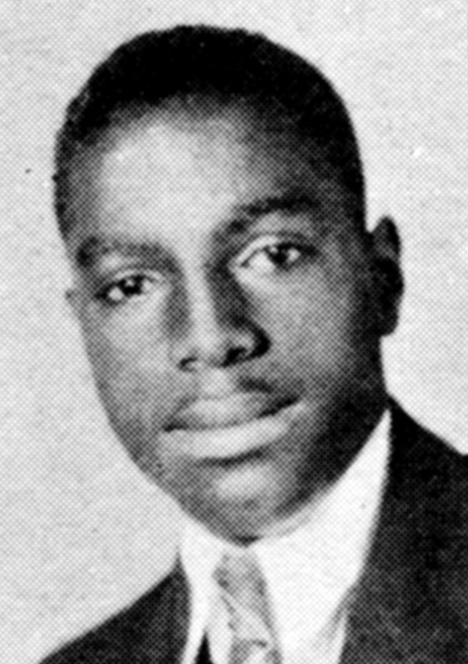 Lionel Wilson, who later became Mayor of Oakland, graduated the same year I did, 1936. I had no negative experiences at Cal. But after college, you didn’t get a job! Black women didn’t even get office or store jobs. Some of my friends “passed” to get jobs in stores. That was the only way to get a job. I took every exam they gave for state jobs, but you had to have graduated in the last five years to even take the exam. If it was longer than five years, you could not take the test. I was interviewed for a lot of jobs, minor jobs, and even with a college education, I couldn’t get them. One lady interviewed me, but didn’t take me. She said the job was filled. Then two or three weeks later, I was invited into an interview for the same job because she forgot that she had interviewed me. She didn’t fill that job! I never went back. I worked as a junior clerk in Sacramento for a couple of years. I earned $70 a month and was the 2nd or 3rd black person who’d been hired in Sacramento. There weren’t even any black teachers then. Then I got married and after that I worked part time jobs in tax season sending out notices and things like that. I always worked part time. My husband, Ernest, worked for the Post Office and sold real estate on the side. After he got home at 3:00, he napped, and then went out in a suit and sold real estate. He did very well. We bought my current house [in East Oakland] 50 years ago. We met at a lodge down on 8th Street in Oakland. I saw him there and I said to this guy, “Who is that guy? Introduce me to him!” At that time Ernest was working at the Southern Pacific Railroad then, traveling to Chicago. He worked in restaurant car as a dishwasher with a lot of older men. He hated that job. After they worked, they ate their dinner and then turned the tables into beds and slept there. He used to say, “I had to work with them and sleep with them too!” Then he worked for a black insurance company and then took the Civil Service exam and got hired at the Post Office. When he died, he was a supervisor. He worked until 9:00 at night at the main post office in Oakland. One night the doorbell rang at 9:30 and a man was standing there, the coroner. He told me that my husband was dead. He died in a car accident on the way home from work. He was only 56. Seventeen years later, I married my second husband, Bronak Kuciak, a Polish man. He died at age 86. He was really nice. Ernest and I had three children: Ernest Jr. (Now retired, but he worked for United Airlines), Antoinette (Toni) (a self employed a writer and co-producer of her daughter’s TV show) and John (an elementary school teacher). I have four grandchildren and four great-grandchildren. After my children were grown, I went back to school at Cal State Hayward to get a secondary credential. Thirty years after I’d graduated from Cal, I went back! I worked as a bilingual employment counselor for the state of California and I taught ESL [English as a Second Language] at an adult school here in Oakland. I also volunteered for the American Cancer Society for ten years, talking with women who had had mastectomies and giving them materials. I really enjoyed that. And I have gotten active in my sorority again, Delta Sigma Theta. They gave me a scholarship to go to Cal when tuition at Cal was $25 a semester! Then it was raised it to $26.50! I have been a sorority member for 80 years. We meet the third Saturday of the month. They came to my birthday party when I turned 100. I have traveled all over the world– Europe , Asia, Central America, Mexico, South America, Japan. I wanted to go to China when I was in Japan, but at that time, you couldn’t go there. I traveled with a girlfriend in the years when I was between husbands and I went on some cruises with my second husband. My favorite place was Brazil, but Brazil should be ashamed of how people were living up in the hills with no electricity or water. I loved the beauty of the country, but I thought that was horrible. It was hard to see that. And I went to Poland with my second husband and met his family in Warsaw. The happiest time in my life was when I had my three children. That was the best time. Peter Stackpole grew up surrounded by artists so it was no surprise that he became one. His father was the sculptor Ralph Stackpole, a leading artist in the 1920s and 1930s, and his mother was Adele Bames, also an artist. His parents were friends with the painter Diego Rivera and the photographer Dorothea Lange. While at Tech, Peter took up photography and was a quick learner with the new compact 35mm cameras. His photographs appeared in the Scribe News and the Scribe Annual (yearbook) where he is referred to as “staff photographer.” Peter was also active in the Aviation Club, a club devoted to experimenting with model airplanes. In 1930, he took second prize in the annual contest sponsored by the Oakland Tribune. Within a few years of graduating from Tech, Peter began taking the photographs that launched his career as a professional photographer. 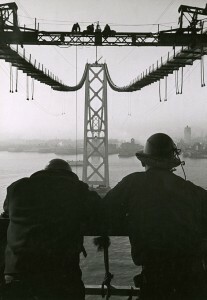 Fascinated with the construction of the Bay Bridge (1933-36) and the Golden Gate Bridge (1933-37), he photographed their construction. His work came to the attention of the editors of Life, a large format weekly magazine that adorned coffee tables across America from the 1930s through the 1970s, and he was hired as one of its first staff photographers in 1936. 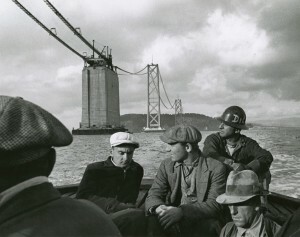 His photographs of the Golden Gate Bridge construction were featured at the Oakland Museum of California in the 2013 exhibit “Peter Stackpole: Bridging the Bay“. In a career with Life that lasted until 1960, Stackpole became famous for the photographs he took Hollywood and his work was on the magazine’s cover twenty-six times. Although he photographed many of the movie stars of the day including Jane Mansfield, Kirk Douglas, and Vivien Leigh, he always maintained in interviews that he was more interested in the stagehands and extras than in the stars. His work also appeared in Time, Vanity Fair, and Fortune. After leaving the magazine in 1960, Stackpole taught at the Academy of Arts College in San Francisco and wrote a column for US Camera. Stackpole had a dark room and workshop at his home in the Oakland Hills. 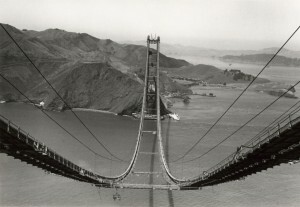 When his home burned in the big fire of 1991, he had time to save only the photos of the bridges that had launched his career. After his death in 1997 at the age of 83, his obituary in the New York Times referred to him as the “Chronicler of California.” He had three children. A baseball star at Tech in class of 1931, Hafey was nicknamed “Heave-O” or “The Arm.” Tom’s brother Bud and his cousin Chick were also major league baseball players. He played two years in the major leagues as third baseman, with the New York Giants in 1939 and with the St. Louis Browns in 1944. He compiled a batting average of .248 with the Giants and Cardinals. He died in 1996 in El Cerrito at the age of 83. Bobby Loane was a baseball star at Tech who went on to play in the minor leagues as an outfielder for fifteen different teams from 1933 to 1940. He then played a total of 16 games in the major leagues, in 1939 for the Washington Senators and in 1940 for the Boston Braves. Loane died in 2002 Monterey at age 88. My mom, Emma Mae Williams, graduated with the winter class of 1932. Unlike me, she was active in sports and was a part of the GAA. She met my dad Virgil Kelsoe through a neighbor Helen Becraft (also a Tech alumni). Helen was supposed to go out with him, but my mom paid Helen a quarter to tell him she was sick and to call my mom instead. He did and that date led to a 50-year marriage. They continued to live in my mom’s family home on McAuley St.while raising my brother Stephen Kelsoe (Tech ‘61) and me until moving to Concord in 1966. Joe Rinaldi, Class of 1932, worked for Disney Studios as both a writer and a story artist. 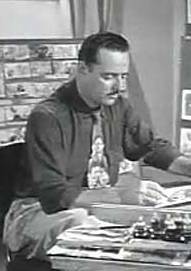 Rinaldi’s first story credit was for Dumbo (1941). Many of the most beloved and well known Disney animated films of the 1950s reflect the creative genius of Joe Rinaldi including: Cinderella (1950), Alice in Wonderland (1951), Peter Pan (1953), Lady and the Tramp (1955), Sleeping Beauty (1959), and Babes in Toyland (1961). The final look of Lady and the Tramp (1955) was significantly shaped by Rinaldi’s drawings. 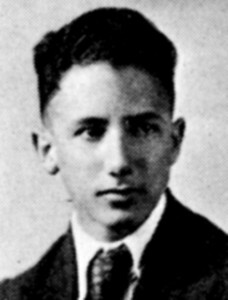 Frank Shozo Baba, Class of 1933, graduated from Oakland Tech and the School of Business at the University of California, Berkeley. He was a Japanese American Nisei who made radio broadcasts during World War II in the United States and in post-war Japan. Well known in Japan as a key figure in the establishment of modern broadcasting in post World War II Japan, his distinguished career included service at the United States Information Agency Voice of America, the American Embassy in Tokyo and the USIA Foreign Press Center. He was awarded the Kun Santo, the Third Order of the Sacred Treasure from the Emperor of Japan for his contributions in promoting relations between the United States and Japan. Len Gabrielson played both baseball and basketball for Tech and was president of his senior class. He signed with the New York Yankees right after graduation and had a good baseball career in the minor leagues with the Seattle Rainiers, Hollywood Stars, and briefly, the Oakland Oaks. 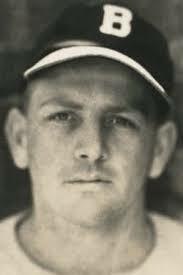 He got one brief shot in the major leagues with the Philadelphia Phillies in 1939, playing in five games. His son, Len Gabrielson, Jr., also played baseball at Tech and went on to play nine seasons in the major leagues. At Tech, they both played for legendary Coach Al Kyte. At Tech, Marie Countee was a member of the International Club, a card carrying “Privileged Student” (for good marks and character), and a singer in the Graduation Chorus. 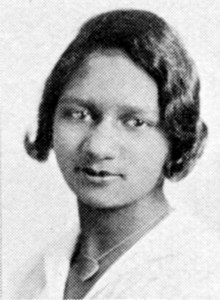 She graduated from Tech in 1933, Sacramento Junior College in 1935, and Los Angeles County General Hospital School of Nursing in 1939, the same year she married musician Eugene Arthur Stovall Jr. of Los Angeles. Her nursing career spanned two decades taking her from LA County General Hospital’s pediatric unit to Oakland Children’s Hospital. She had three children and was widowed in 1954. Two years later, Melba graduated from Holy Names College with a Bachelor’s Degree. Willard Spencer started his 75-year music career under the tutelage of Herman Trutner at Tech. After graduation, he began a career as a professional musician. An accomplished trombonist, he played in San Francisco and Oakland symphony and opera orchestras, in big bands, and in San Francisco, Oakland, and San Leandro municipal bands. He played in military bands and in the 1939-40 Golden Gate International Exposition Band on Treasure Island. In addition to performing, Willard taught and arranged music and repaired brass instruments. 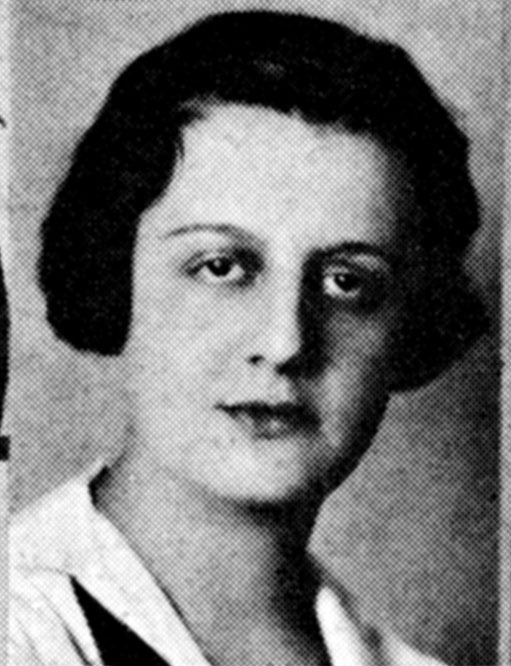 Eila Cafasso was raised in the Temescal District by Italian immigrant parents. At Tech, she was active in a number of clubs, most notably the craft club and the girls’ electricity club. 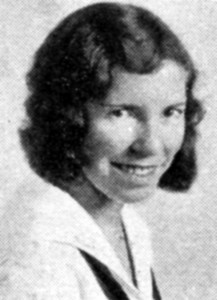 After graduating in 1934 and attending secretarial school, she worked for many years as office manager and dispatcher for J. H. Fitzmaurice, Inc. At Fitzmaurice, she met John H. Fitzmaurice, Jr. and they married in 1945. The following year, they moved to the San Ramon Valley where they lived for 56 years. She retired in 1954 to devote time to her two children and became a leader in the Contra Costa County Camp Fire Girls in the 1960s and 1970s. A lifelong devotee of crafts, she painted and sewed throughout her life. Jack Soo (born Goro Suzuki), Class of 1934, was the first Asian American to star in a regular television series as Detective Yemana in the 1970s hit comedy television show Barney Miller. 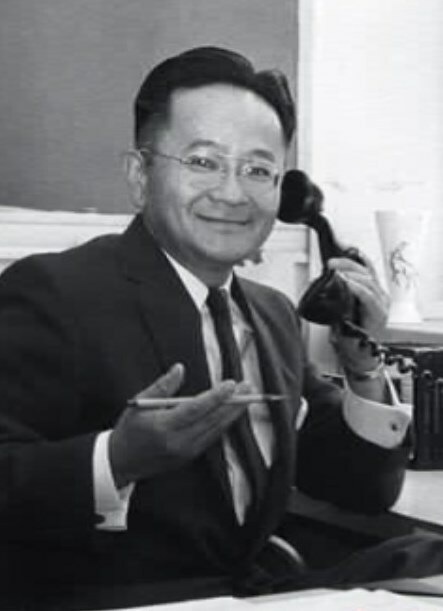 Born in Oakland, Suzuki was one of many Japanese-American students or alumni interned Tanforan and Topaz during World War II. 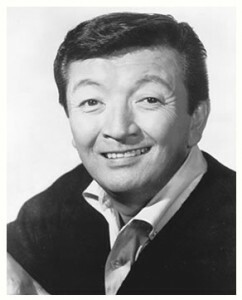 After the war ended, he began a career in entertainment and changed his name to Jack Soo. In 1958, he was cast in the Broadway hit “Flower Drum Song.” Throughout the 1960s Soo appeared on television (Valentine’s Day, Hawaii 5-0, M*A*S*H) and film (The Green Berets, Thoroughly Modern Millie). He joined the cast of Barney Miller in 1975, playing the detective whose horrific coffee the rest of the precinct had to drink. American Institute of Certified Public Accountants. He chaired numerous committees and taught many continuing education courses.He was awarded the Distinguished Service Award from the California Society of CPA’s. He had two daughters and died in 2010 at age 92. 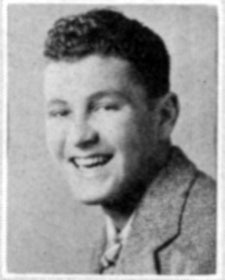 A native of Oakland, Paul Durckel was very active at Tech singing in boys’ glee and playing football and basketball, as well as participating in track and “tumbling” (gymnastics). 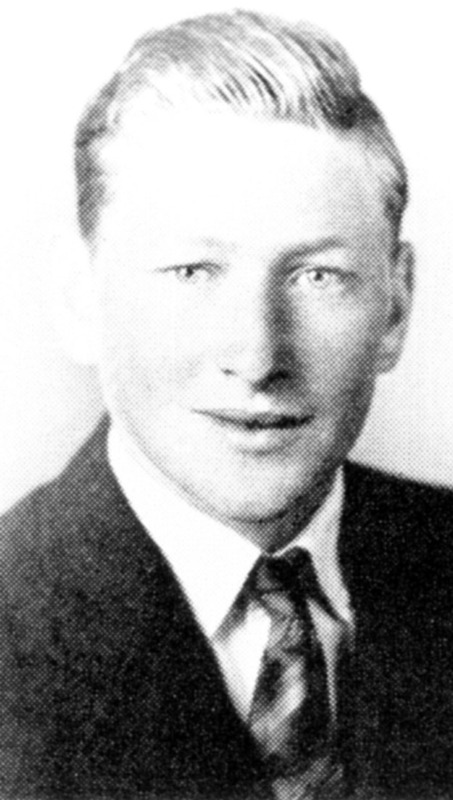 From Tech, Durckel went on to Stanford University where he graduated in 1940. Starting in March 1943, he served in the Army Air Corps, advancing to the rank of lieutenant and serving as a navigator with the 781st Airborne Squadron flying strategic combat missions over Italy and Austria. During his 24th mission in March 1945, Durckel in the nose of the B-24 Liberator when it sustained heavy enemy fire and went down. Reaching for his parachute and finding it gone, Durckel crawled through the burning and fast-dropping plane to find the last parachute, only to discover that it had been damaged by fire. Miraculously, the parachute functioned and after diving from the plane, Durckel and the surviving members were captured by local villagers who immediately hanged several of the airmen. A pair of German soldiers on patrol arrived on the scene, and ironically, prevented the villagers from hanging Durckel. He was taken into custody and delivered to a train bound for Stalag Luft III, a work camp in the German province of Lower Silesia. He was later transferred to a camp closer to the Swiss border, where General George S. Patton and his troops liberated him and his fellow prisoners of war. He was awarded the European-African-Middle Eastern Campaign (E.A.M.E.) medal with five Bronze Stars as well as four other medals and was nominated for a Distinguished Flying Cross Award. Post-war he was promoted to the rank of captain. 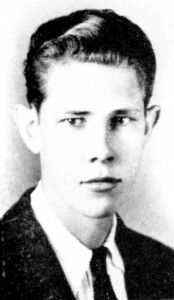 He married in 1946, moved to Texas, and bought a farm where he raised four children. He died at age 96 in 2013. I lived on Colby and chose Tech because my brothers had gone there. Frank graduated in 1930 and Melvin in 1932. I already felt a connection to Tech when I started. I didn’t socialize that much at Tech because I had an after school job in a grocery store. I hopped on my bike at 3:15 and worked until 9:00 at night. I didn’t have close friends in high school and I didn’t have time for girls. I did my homework at the store and on the weekends. I always had books with me. I was in the college prep track. My older brother did auto mechanics at Tech, got a job after graduation, and stayed in that one job his whole career. I remember many of my teachers. I had Miss Raab for German and Mrs. Pillsbury was my counselor. Mr. Hamilton was a coach at Tech and he lived near the grocery store and used to come in to check on me. My favorite classes were German, social studies, physics, and chemistry. I remember Mrs. Bjornson well. She was very interested in politics and was a strong advocate for FDR. She talked a lot about him and his policies. We all felt at the time that he was going a good job. She made us feel more connected with him and his policies. It wasn’t traditional then in classes to talk about the real world. I liked her very much. She used to talk with me as an individual after class too. She ran for state assembly. Miss Raab was the one I was most fond of. The way she conducted the class and her personality stand out. I am not German, but I enjoyed learning the language. That stood me in good stead when I went to Europe after the war with my wife. I could get around without any problem. We didn’t have language labs or tapes then, just the teacher and she didn’t even speak with us in German. We learned vocabulary and verb tenses, that sort of thing. I used to go with my friend and eat a bag lunch on the bleachers because we couldn’t afford lunch in the cafeteria. As I said, my life centered more around my job after school. I was always on my bike in junior high and had noticed a store on Hudson and Claremont. There was a man always out on the sidewalk and we go to talking. He offered me a job delivering groceries in the neighborhood. Then I started restocking and sweeping and then waiting on trade. The upshot is that after I was there about a year, he approached me and asked if I would be willing to take care of the store for an hour so he could go to the doctor. I went in the next day. He opened at 7 to get the produce delivery and never came back to work really. He was a Russian who’d worked in the mines in Argentina and had Miners’ silicosis. I stayed there all summer long. Then my middle brother who’d wanted to go to sea and had gotten a job on a ship during a longshoreman strike, had to come back home. He’d been involved in grocery stores too and had worked for an Italian green grocer where Piedmont Market is now. Since my brother was free and had experience, he came into the store and both of us took care of the store until the end for my employer who eventually died. As a result of that experience, when store closed down, the detail man who’d taken my order every week (he worked for Haas Brothers, a wholesale grocers) came to me and asked me whether I’d be willing to go to business school at Cal if they’d pay the tuition an I’d come to work for them afterwards. But I turned it down to go to dental school. One of my friends told me before I started at Cal that they were hiring at Safeway, but my father wouldn’t let me drive his car and the Safeway was out on 150th Ave. They interviewed ninety candidates and took five, including me. I worked weekends at Safeway and caught the eye of one of the men there and he took me into his Safeway store where I worked for a long time. It was a modern supermarket on 40th and Telegraph. I worked there on weekends. This was during my undergraduate years at Cal. I worked for him summers and weekends whenever I could. Then when it was time to go to dental school in San Francisco, the timing didn’t work, but he said I could come at 1:00 and eat in the storeroom. So I cut the last hour of anatomy lab so that I could get over to the store in time. I worked with him until I was called into the military in 1943. Dental school is usually four years, but it was accelerated because of the war. I had to go all summer with no time off. I worked my way through the university. Dentistry was expensive. We had to buy all our own materials. We made all our own crowns and bridges and dentures. As freshmen, we had to boy our own lab equipment. That was the equipment we’d be using in our practices. All of my savings disappeared in these purchases. I borrowed $100 from my father to pay for my tuition. I paid that off at $20/month and never borrowed from my parents again. I also graded blue books for 1 class of juniors and one of seniors and professor asked me if I wanted to take over his lecture class! So I started giving lectures. I knew his class because I’d been reading the same lecture for two year. Then I served in the military. I tried the Navy, but I had problems with one eye and have high arches and the Navy refused me. The Army refused me too, but if I signed waivers, they said they would take me. I did and entered the Army as a volunteer and became a captain. When I entered military I gave my parents an allotment every month for three years and then I got married and we needed the money. We never had children. My wife got a tropical illness in the Pacific. She spent nineteen moths in barracks taking care of the boys coming in from the South Pacific. All the casualties from Iwo Jima went to Ann’s hospital. After the war, I taught 35 yrs at the UC in School of Dentistry and had my own practice in Berkeley across from Alta Bates Hospital. I am amazed that Tech is still there and that I am still here! Tech was a good school, one of the best around at that time. Wonderful teachers. Great people. My advice to current Tech students is to stay away from drugs and cigarettes. And apply yourselves! Not with girls, but with your studies. The daughter of Italian immigrants, Lena Accornero married Attilio “Babe” Magnani after graduating from Tech. Their marriage lasted 70 years. She proudly served as a chauffeur-mechanic for the U.S. War Department during World War II and then after the war, worked in her husband’s family’s locally famous retail poultry business, Magnani’s. Later she took a position with Breuner’s where she worked for 20 years until her retirement. She was a past president of the Temescal Optimist Club and a member of both the Colombo Club Women’s Auxiliary and the Italian Catholic Federation. After graduation from Tech, Fee became an apprentice in the printing department of the San Francisco Chronicle. 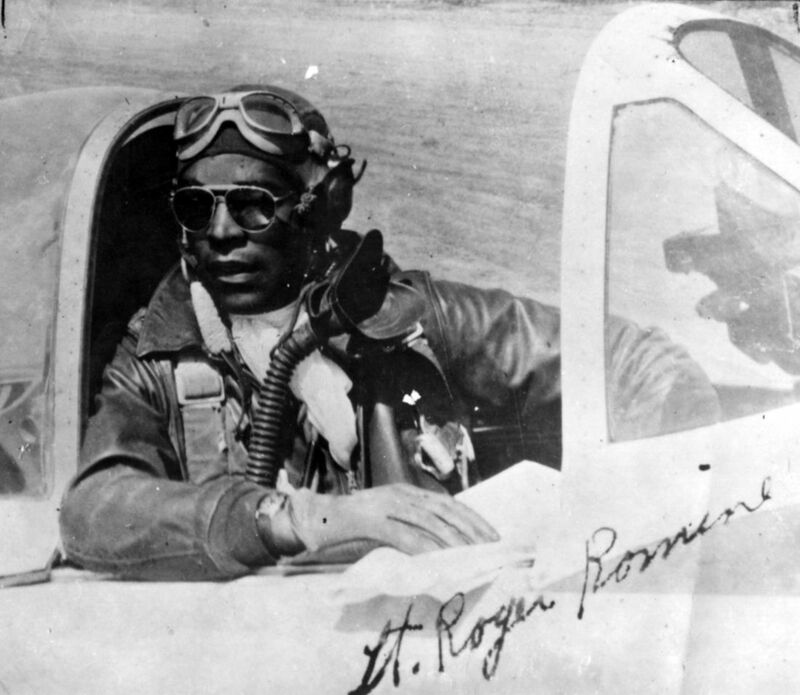 He entered the Army Air Force after the bombing of Pearl Harbor and was stationed in Agra, India, from 1942 to 1945. Upon his return home from the service, he visited his colleagues at the Chronicle while still in military uniform and was instantly put back to work, retiring after 30 years on the job. He died in 2007. 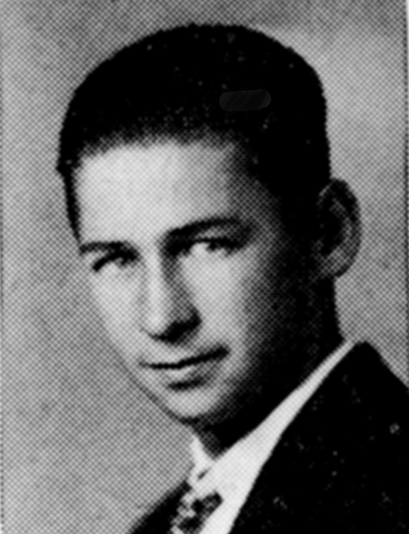 In his teens, “Mac” moved with his family to Oakland. 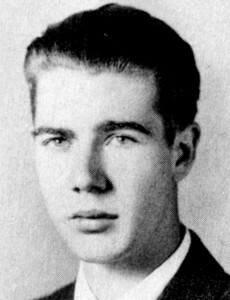 After graduating from Tech in 1939, he enlisted in the army and served with the 535th Antiaircraft Artillery Battalion which took part in the D-Day landings on Utah Beach in France. He also fought in the Battle of the Bulge and at the Battle of Remagen, a bridge over the Rhine. He married in 1942 and had four children. He worked for the Del Monte Corp. in the Printing Division for over 30 years. McDonnell died in 2011 at age 89. 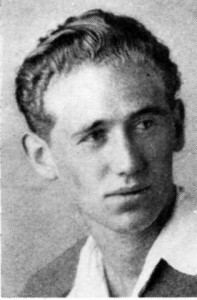 Will Hafey, whose brothers Bud and Tom and cousin Chick all went on to professional baseball careers, also went on to play for 9 minor league teams from 1940 to 1954, never cracking the majors. He died in 2009 at the age of 87.